In terms of numbers, Turks make up by far the largest group with over 1.5 million living in Germany. 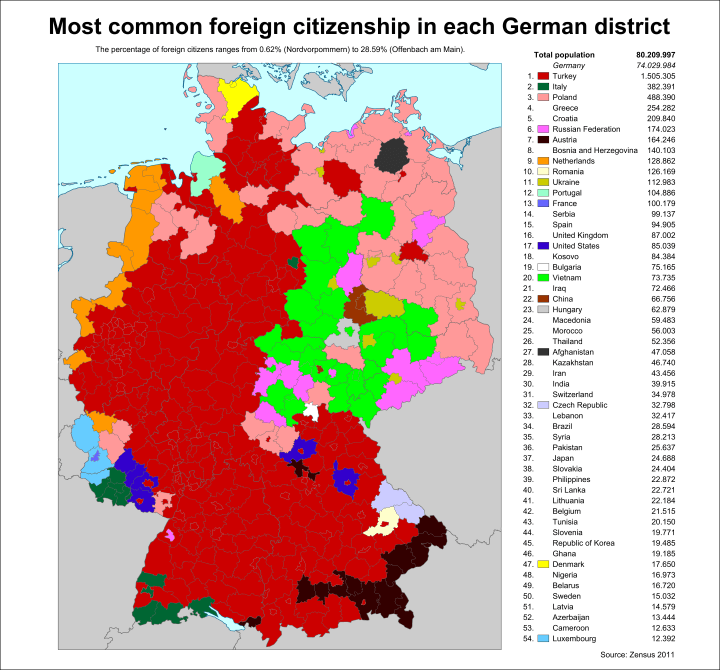 The district with the fewest foreign citizens is Nordvorpommern at just 0.62%, whereas Offenbach am Main has the largest number at 28.59%. 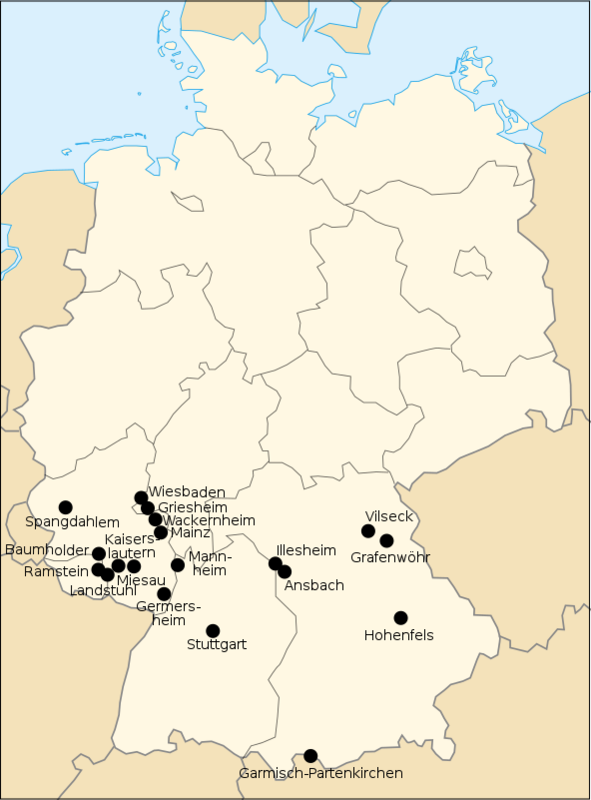 Turks, Italians, Portuguese, Greeks (who are not the biggest minority in any district) and others originally immigrated in large numbers to West Germany as Gastarbeiter (guest workers) to provide additional workforce to the then growing economy. Vietnamese have been living in fellow socialist East Germany in somewhat larger numbers since the 1970s. Russians are not ethnic Germans from Russia. These people were given citizenship when they arrived and are therefore not foreign citizens. About the Dutch, I can tell at least for East Frisia (in the northwest), that they move there because of lower real estate prices. This probably applies to the other Dutch and Luxembourgish districts, too. As you can see, most West German districts have Turks as largest group of foreigners. As they tend to live in urban areas, they are often outnumbered in more rural districts on the borders. In the east, the number of foreigners are generally lower, in many rural eastern districts, the percentage is under 2%, or even under 1%. Thus, the map is more colourful, as relatively small numbers are enough to be the largest group. The areas with large groups of Americans are unsurprisingly the location of US military bases, as can be seen here.